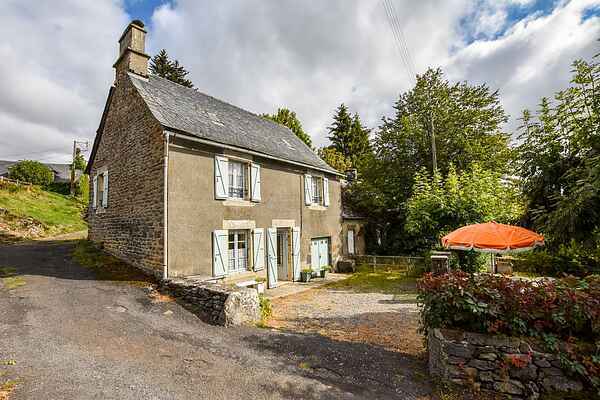 This lovely holiday home with garden is in a peaceful small hamlet on the edge of the Auvergne Volcanoes Regional Park. Here, you are at a height of about 780 metres. A perfect place which offers the chance to admire the most beautiful Auvergne countryside and visit its cultural heritage. In the near vicinity are several castles and beautiful churches. A few examples: Les Aldières (18km), Anglards-de-Salers (18km), Sourniac (25km), Riom-ès-Montagnes (19km). The nearest castle is a few kilometres away at Auzers. The village of Salers (29km) is an absolute must to visit. This village is one of the 100 most beautiful villages in France. You will also find there the Templars Museum and the "Cantal Cheese" Museum. To vary your visits and walks, go to one of the recreational lakes in the area. A few possibilities: Bort-les-Orgues (23km) and Neuvic (38km). Near Mauriac (23km) is a smaller bathing lake with beach, a golf course and a supermarket. For simple purchases, bread and a restaurant you can go to Trizac (6km).